Roopan Mann married Suraj Muljil on 26th May 2018. She says: “Our love story is a tale of modern times – it all began on a dating site. We began seeing each other and by the time we went on away on our first holiday as a couple we were in a proper relationship. Suraj proposed a little over a year after we met. He knew I’d always wanted to stay at the Shangri-La at The Shard in London so he booked a room and let them know his plan. Of course I said yes when he got down on one knee. We had an unforgettable weekend. We set the date for May 2018, giving us nine months to plan the day - you could say it was our baby. Our family and friends all pitched in to help and give ideas, which was wonderful. 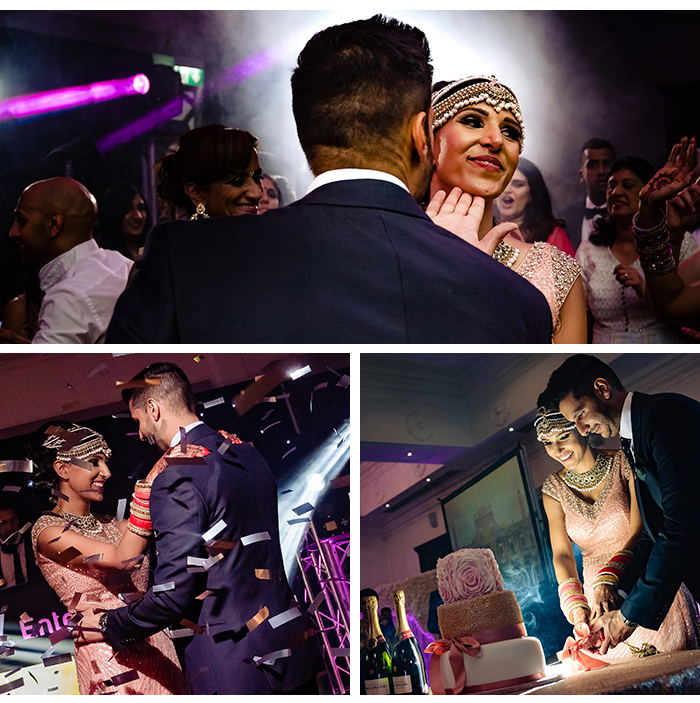 We found a lot of our suppliers through personal recommendations as many people close to us have recently gotten married, but we also went to wedding fairs and shows. One priceless source was Instagram; I found and booked my mehndi and makeup artists through the website. We had our civil ceremony in April in Nottingham. 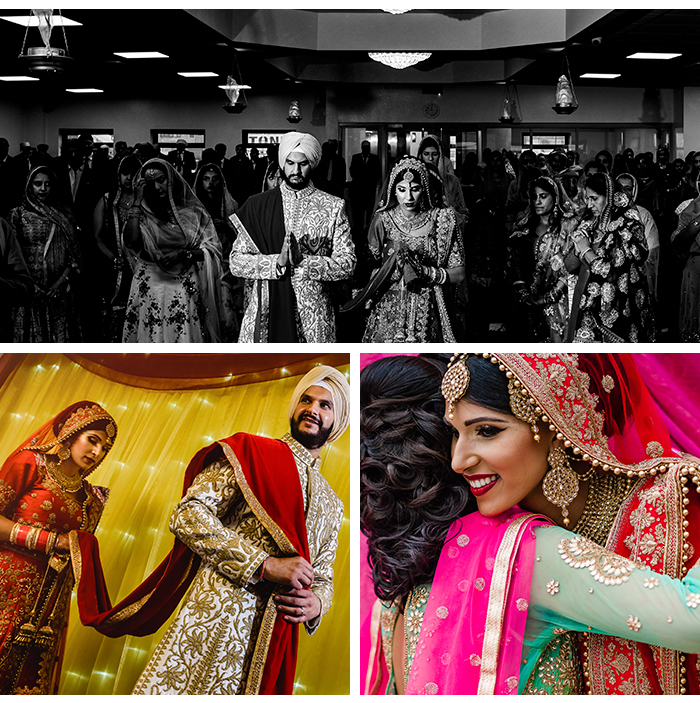 It was small and intimate, with just our immediate families present." 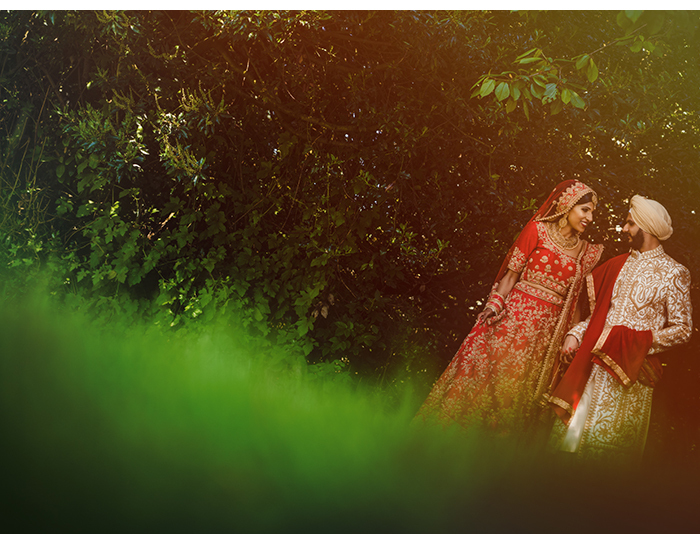 “I travelled to Delhi for my bridalwear, it was such an adventure. Every store was filled with the latest designs that I was spoiled for choice! 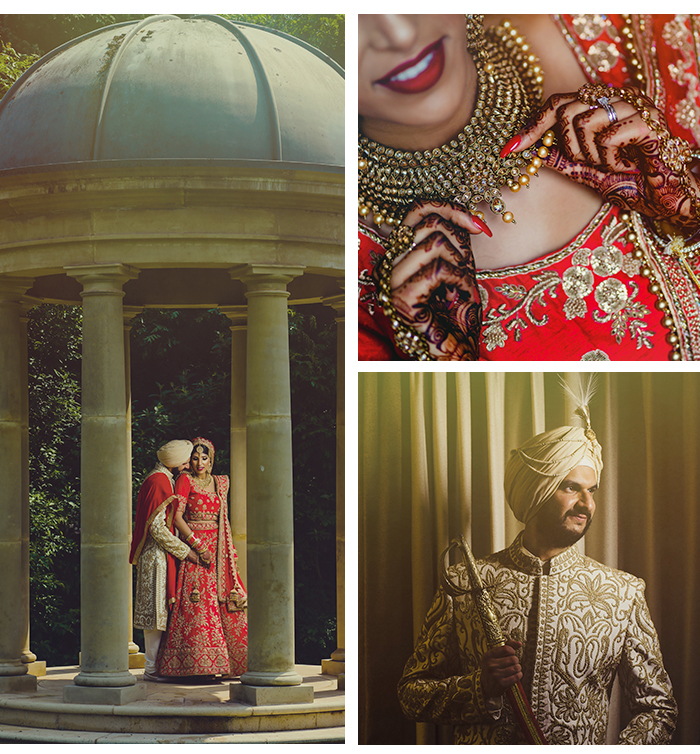 In the end, I chose two outfits; a red lehenga with gold embroidery for the religious ceremony, finished with a gold kundun bridal set. For the evening party, I changed into a peach off-the-shoulder gown. It made me feel like such a princess. “We were lucky; the weather was great, the food was incredible and the entertainment was awesome. We had a day we’ll remember forever. If you’re planning your Big Day, my advice is this: enjoy every moment. The day will fly past, so soak it up because there won’t be a second chance.